Light diffusion panels can cost $80 to $100 or more when purchased retailed, but very little when you make them yourself, and to do so is very simple. I can’t tell you how many times I have been asked about my diffusion panels and where I get them from. The ones I use in my studio have all been custom-made to fit my needs, and I’ll show you just how to make your own. Firstly, you will require a frame or border that encases the paper or cloth. My frames are made from thin iron rods. I designed them and had the local metalsmith create the frames based on this for me. I’m making the design available as a downloadable PDF. I highly encourage you to download the PDF and take it to a local business or craftsman in your area to fix together. Alternatively, if you are really big into DIY and own a welder, you could purchase the dimensions of steel rods and make it yourself. I paid very little for the gentleman to create the frames for me. Then I put diffusion material onto the frame. Some photographers have mentioned they use a Translum from Savage. There are several well-recognized products available on the market, some are even very pricey. Personally, I have made use of smooth tracing paper, the type used for tracing by architects or designers. It is available at most craft shops or art studios. A large roll provides a good few meters of paper and allows for you to have additional stock should the diffusion panel need repairing. Your local paper supplier should be able to assist with picking out the right quantity based on the dimensions of the frame. 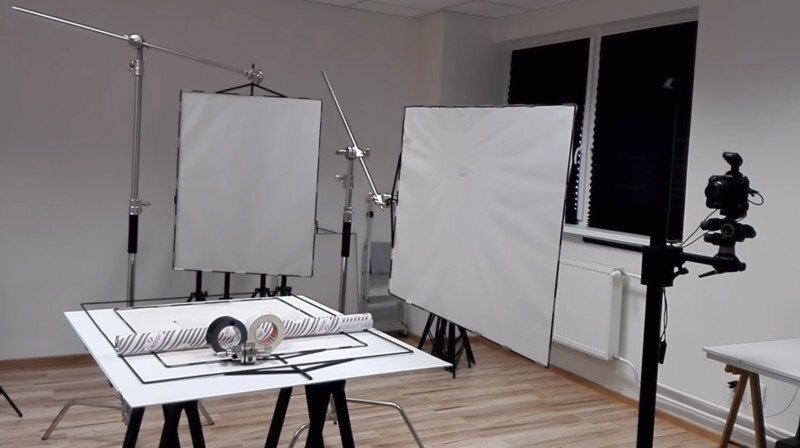 This is a budget, yet effective, DIY panel diffuser that can have a big effect on your lighting and quality of production. They are lightweight and easily replaceable. The versatility of the item in my studio environment makes adjustments and break down easy. Previous Does This Rhino Drone Video Help or Hurt Conservation?